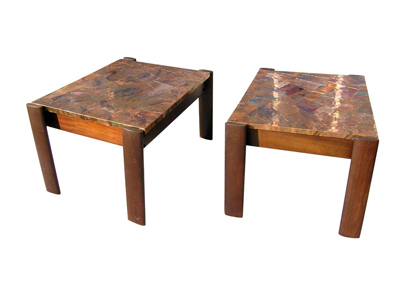 This unique set of side tables are as much works of art as they are functional pieces. 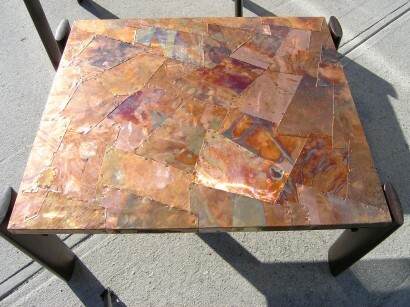 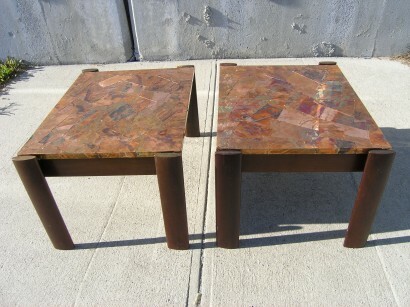 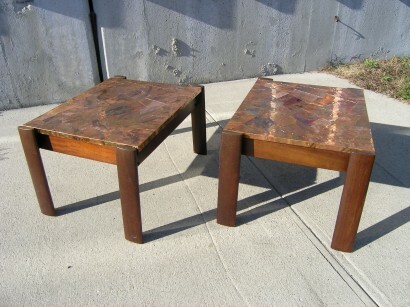 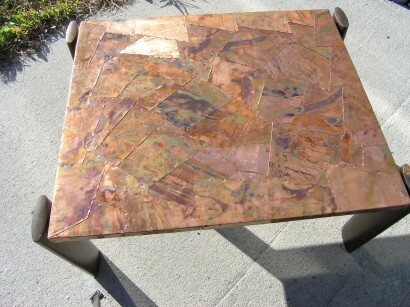 Each top is uniquely comprised of multiple copper sheets patchworked together to create a stunning visual from all angles. 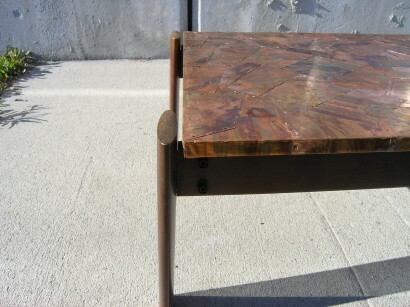 As the light changes the iridescence of the copper is brought out. 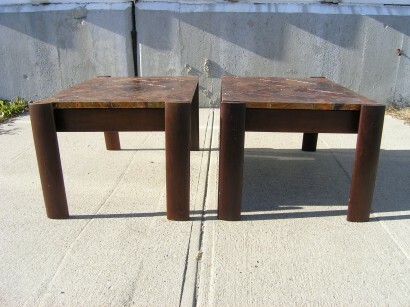 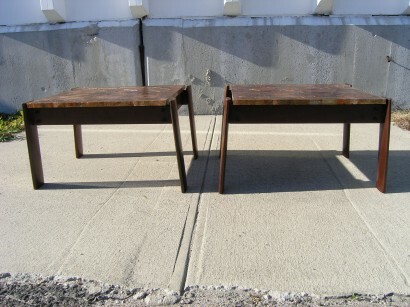 The tops are resting on sturdy rosewood bases with slightly angled legs.